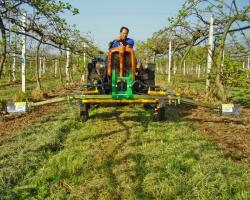 This is the ideal implement for weed control and for spraying plant protection products between the rows in vineyards, orchards, etc.. 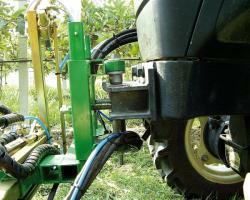 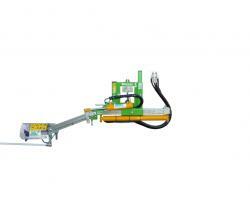 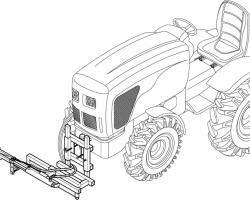 It is mounted at the front of tractors equipped with a hydraulic circuit. 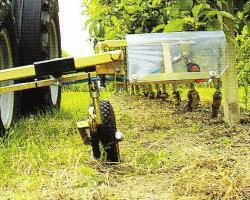 When the extensions are closed, it reduces to within the limits of the tractor's width and thus becomes smaller in size, while when the extensions are open, it can work over a width ranging from a minimum 1.80 meters to a maximum of 5 meters..
Hydraulically driven, the various operations (opening and closing the extensions, heught adjustment, weed control, etc.) 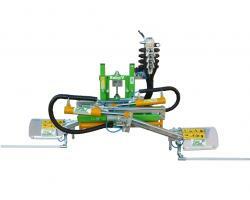 are completely controlled from the driving seat. 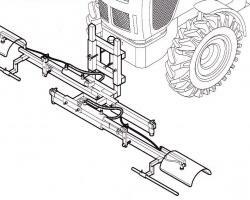 Thanks to the patented system, the SALF bar allows the nozzle to spray always in the same direction, regardless of the soil conditions and the weeds treated. 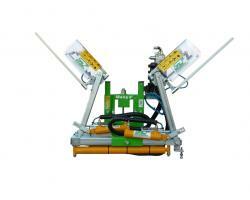 It can be supplied with one or two elements, on request.